A car is more powerful than a human body, but consciousness is far more powerful than a car and can encompass it entirely. Thus, a car that can kill the body can do nothing to consciousness, which contains it and much more, and which elevates abstract automobiles, via morphic resonance, to unearthly heights, and proclaims the time is neither wrong nor right. The blinking, ephemeral but eternal, psyche stutters in fits and starts, but is eternal and timeless. Influence from Dickinson, Frost, and Rock, Paper, Scissors happily noted. 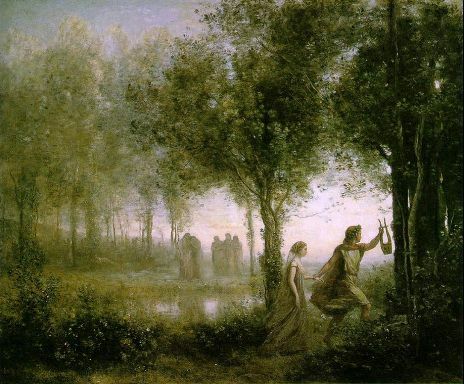 Painting: Orpheus Leading Eurydice From The Underworld by Corot.